We are asking God to meet us in power. So with one voice, we are seeking the face of God, standing in the gap in prayer for our friends, family and church. As you pray for others, ask God to PREPARE you to hear as He speaks and to align you with His character, motives and will. Remember, before prayer becomes effective outside of us, God’s Spirit has to be free to work inside of us. The best and most effective prayers actually begin in Heaven. Ask God to remove these barriers that will keep you from praying intimately, effectively and powerfully. God wants to answer! Feel free to sit, stand, kneel or lie before God—whatever posture best fits your heart. In the DISCOVER section, look up and read the verses with the guide provided. We are looking to discover reasons or barriers that scripture gives for your prayers not being answered or even heard. In the CONTEMPLATE section, you will walk back through each barrier and have a conversation with God, clearing the way for God to hear. Finally, in the CLAIM section, you will use the scripture given to renew your mind to your identity in Christ and to claim the cleansing and renewed communication you have with God. Pray with confidence in the grace of God. You can come to Him just as you are because of Jesus Christ. Pray in faith! It is not the length of our prayers that moves God’s heart; it is our faith. Ask God to help you believe Him. 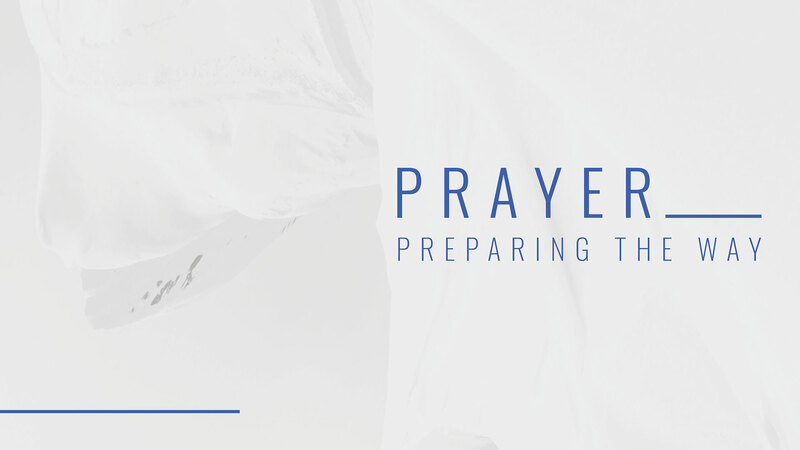 The Bible identifies at least six barriers that can keep your prayers from being heard by God. To discover these barriers, look up and read the following verses and write down the barrier each reveals. _______________________ keeps my prayers from being answered by God. Sometimes we ask for the wrong things for the wrong reasons. But sometimes you ask for the right thing—a good thing—but your motive is wrong. The purpose of prayer is not to get what you want, but to get what God wants. God doesn’t answer prayer for your pleasure, it’s for His glory. Selfish motives rob prayer of power. 2. Read Isaiah 59:1–2 and Psalm 66:18. ________________________ keeps my prayers from being heard by God. Have you ever prayed about something and God never seemed to answer? If so, maybe God’s answer to your request was “no.” But maybe the problem was God couldn’t even hear your prayers because you held on to some sin in your life. An act, an attitude, a mind-set or a secret sin and an unwillingness to part with them can actually keep God from even hearing your prayers. ________________________ keeps my prayers from being answered by God. In our day, we are way too sophisticated to have an actual idol in our house, but it doesn’t keep us from establishing them in our heart. An idol is anything that takes the place of God or priority over God or that you love more than God. God alone has the right to the supreme place in your heart. Have you set up anything or anyone as an idol in your life (money, children, spouse/date, job, hobby, reputation, possessions, etc.)? There is perhaps no greater barrier to prayer than stinginess, the lack of generosity toward the poor and toward God’s work. The one who gives generously to others is the one who receives generously from God. Anyone who bears a grudge or is unwilling to forgive the sins of another person closes the ears of God to their own cries for forgiveness. 6. Read 1 Peter 3:7. This one may require a little more thought to answer, but the indication is that when a man is not living well with his wife—mistreating her, not honoring her or not understanding her weaknesses—then his prayer life can be hindered, even if he is an otherwise “godly” man. The same can be said for a wife. If she lives with a dishonoring spirit and attitude toward her husband, her communication line to God gets hindered. Even if you are not married, the way you treat your date can keep God from honoring your prayers. Now that you have discovered the barriers, let’s take time to contemplate each one and have a conversation with God. Clear the way for God to hear. Begin by reading Psalm 139:23–24. Now go back to each of the six barriers and pray Psalm 139:23–24 over each one. As God brings things to your mind, confess them to Him. Before you move forward work through the following probing questions. Don’t rush. Deep prayer goes beyond the surface, so be still and give God time to speak. Ask the Holy Spirit to reveal ways in you that have become barriers to praying and hearing from God. Thoughts: Ask the Lord to purify and examine your thoughts. Have you had any thoughts that would not be pleasing to Holy God? Ways: Are there behaviors in your life that are disobedient to the Word of God? Attitudes: Is there an attitude in you that is sinful? (pride, bitterness, anger, prejudice, critical spirit, etc). Words: Have you said something that has been negative or critical of another person? Have you gossiped? Have you torn down another person in any way with your words? Relational Offense: Is there someone that you have a broken relationship with that needs to be forgiven? Neglect: Have you neglected your walk with the Lord in any way? Have you not acted in an area that he has given you instruction? Have you been faithful in your stewardship of resources? Confess your sin of self-sufficiency to Him and repent. The way we remove barriers from our life is through confession and repentance. Now take time to confess what the Holy Spirit has revealed to you through the probing questions you asked of yourself. Be as specific as you can be as you confess your sins. Suggested Prayer: "God, forgive me for ______________________________. I turn away from sin in this moment. Holy spirit, Wash me clean from my rebellion against you. Fill my heart. Change me." Your identity in Christ is stronger than you know! Use the scripture below to renew your mind to your true identity in Christ. Claim the cleansed and renewed communication you have with God. "God, thank you that have made me... "
© 2019 Life Change Resources. All Rights Reserved.